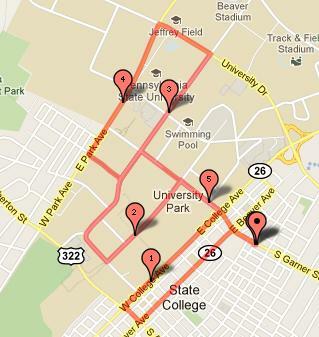 Basically what I did was run back and forth around campus on all the main roads. I went down Beaver, College, Pollock, Curtain, Park and finally back to Garner where I started. It was so nice to run around campus and see everything again!